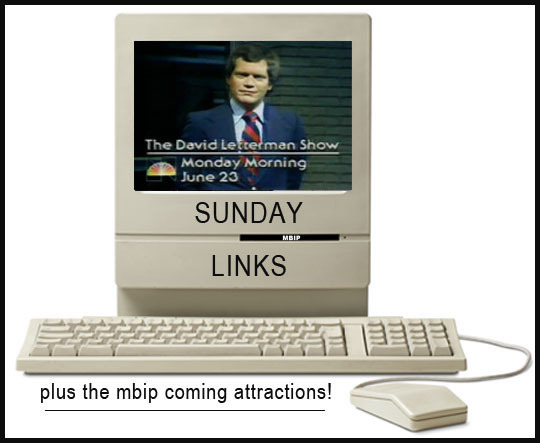 Sunday Links: The David Letterman Morning Show - Plus The MBIP Coming Attractions! Last year Netflix rolled out a new David Letterman show called, My Next Guest Needs No Introduction. It was a one-on-one interview show with guests ranging from Barack Obama to Tina Fey to Howard Stern. 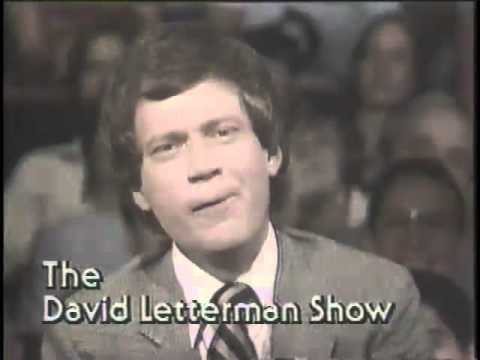 It was okay, but whenever David Letterman does a new show or switches networks it makes me think of his original morning show, which I always felt was his best and most original work. The sad thing is a lot of people don’t even know it existed. I used to call in sick to work just to watch it back in those days! If you’re not aware of his original TV show, which was simply called, The David Letterman Show, there are six links below to articles and videos featuring a pre-late night David Letterman. And of course then there’s the weekly MBIP Coming Attractions! 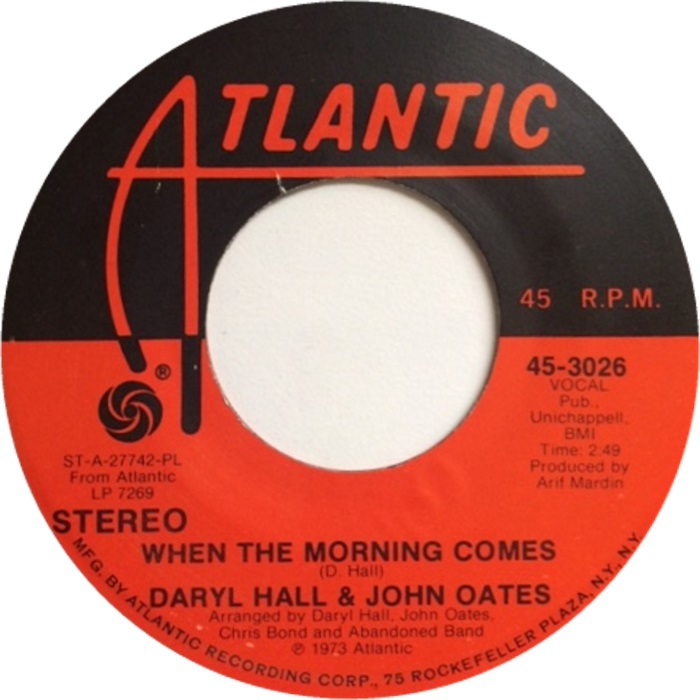 The Opening Segment From One of the First Shows - The first nine minutes of his morning show, including his monologue, a news bit and a phone call to Floyd Stiles. Let's Not Forget David Letterman's Hilarious, Innovative Morning Show - This is a 2015 Esquire article about Dave’s morning show and in it the author wonders why they’ve never released the episodes on DVD or made them available through streaming online. There’s some interesting videos of the show here too with Steve Martin and Andy Kaufman. "That Joke Has Everything": David Letterman, Before Late Night - Here’s an interesting article which features Letterman kind of frozen in time. NBC had cancelled his morning show but was paying him a million dollars to do nothing while they figured out a new show for him. In that time he hung out in Los Angeles doing stand-up comedy at clubs. The David Letterman Show (a Guest Stars & Air Dates Guide) - This is a somewhat complete list of episodes and guests that appeared on the show. The David Letterman Show, October 24, 1980 (final, full) - Here’s the entire last episode of The David Letterman Show to air on NBC in the morning. 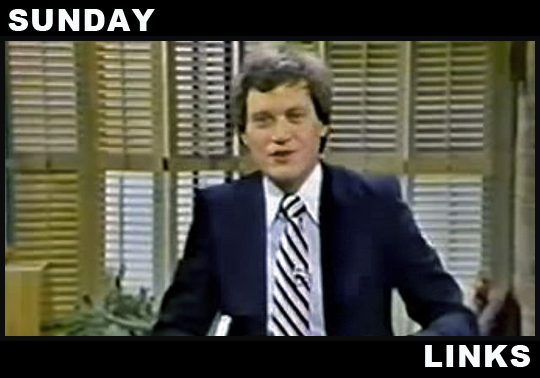 David Letterman on The Today Show January 29, 1982 - This is an interview with Dave and Jane Pauley discussing his upcoming late night show which finally made him a huge TV star. Last night I went to one of my favorite Mexican restaurants, Hacienda El Mirador and not only had a tasty meal, but discovered a tequila there that’s made by a Peorian who I used to work with at Fleming Potter! That will be up tomorrow. Tuesday we continue our 13 month chicken tour with a chicken nugget comparison. Wednesday we’ll take a tour of The Nest in downtown Peoria which is a coworking space in downtown Peoria for entrepreneurs, freelancers, and remote professionals. Thursday there’s another one of my patent-pending MBIP Announcements! Could this be the end of MBIP? Is it a format change? Is this something about The Marty Monologues? Maybe I’m finally going to clean my bathtub thoroughly! 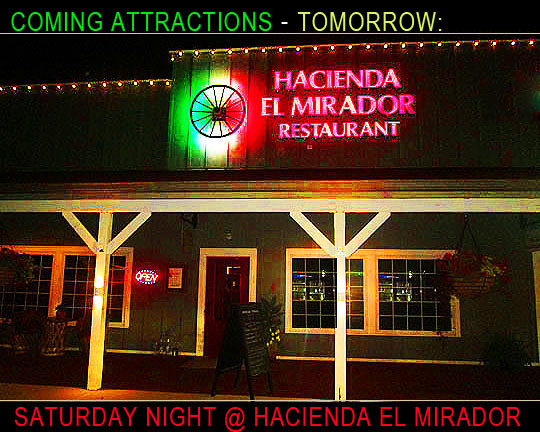 Well, tune in Thursday to find out and have a wonderful and funderful Sunday! Related Posts: Sunday Links: The Marty Monologues, Bill Murray Stories and Jimi Hendrix.